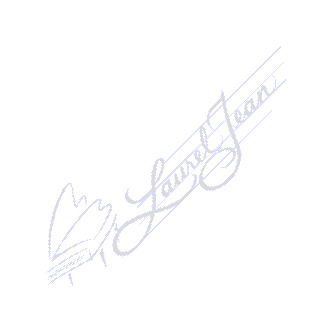 Laurel Jean honors the Lord with the many unique talents that He gave her. 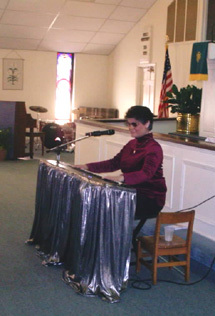 A creative pianist, gifted vocalist, versatile songwriter/composer and inspirational speaker, she contours each program to fit YOUR individual needs. Her repertoire includes presentations in Word and Song for traditional and/or contemporary Worship Services, Retreats, camps and more for God's kids of all ages (from 2 to 102 and beyond)! Feel God's Love as He shines His Light on and through her! Hear His Word through His Anointing on her songs! See how God uses her through her music, message and mirth! Psalm 118:14: The Lord is my strength and song, and is become my salvation. Laurel Jean’s Music and Ministry are underscored by her passion in her Mission to shine God's Light that all, with or without physical sight, may find "True Vision" in Jesus. Fasten your seatbelts and get ready for music with a message and a mission! “For God so loved the world, that He gave His only Begotten Son, that whosoever believeth in Him should not perish but have everlasting life…blessed are they that have not seen, and yet have believed.